Summer Camp 2019 information now available! 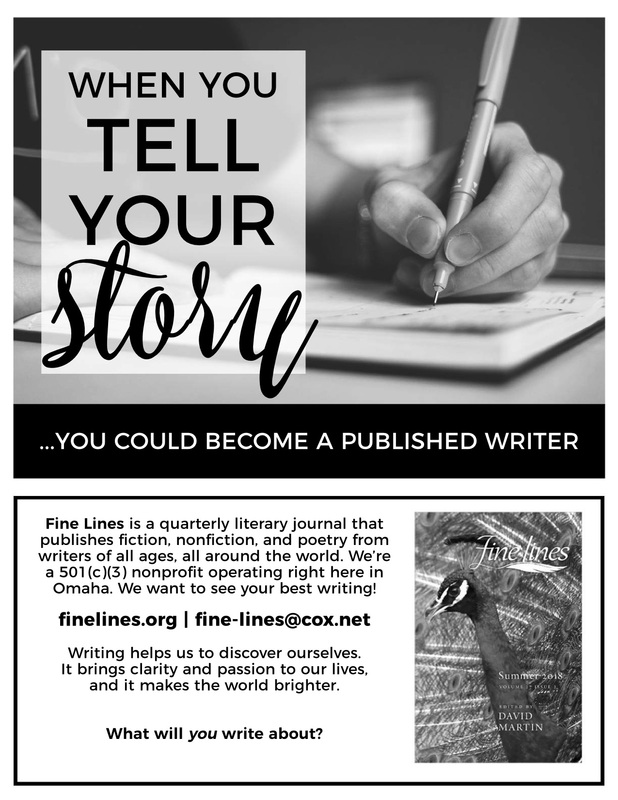 The Fine Lines Spring 2019 printed copy is now available at Amazon. The back issues are also available at this link. – A place to submit their work, hone their craft, and have community. – A Summer Camp experience that is inspiring and educational for all ages. Fine Lines is a Non-Profit organization based in Omaha, Nebraska. Please, look around and join in the conversation. Click here to check out the Fine Lines blog. Click here for journal issues. Click here for information on submissions.